Did tetanus shot cause 12-year-old student’s death? The family of a 12-year old female student of Independence Village in the Stann Creek District is currently mourning her sudden death, which they believe could have possibly been caused by a tetanus shot that she received at school from officials of the Health Department last Monday, November 25, 2013. 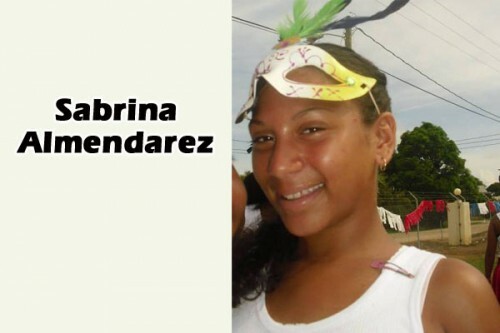 Police have reported that based on information received, they visited the Southern Regional Hospital Morgue, located in Dangriga, on November 29, 2013 around 12:00 p.m., where they observed the body of Sabrina Almendarez,12, a student of Granian Street in Independence. According to police, Gregory Almendarez, a teacher at Independence High School, reported that sometime around 4:00 a.m. last Friday, November 29, he went to check on his daughter, Sabrina, and found her motionless. She was then taken to the Southern Regional Hospital, where she was pronounced dead on arrival at 5:40 a.m. The father reported that on Monday of last week, his daughter was given a de-worming, vitamin-c, folic acid and tetanus shot at Independence Primary School by personnel of the Health Department. He said that after Sabrina received the shots, she became ill, with sporadic fever and headaches. KREM News reported that they understood that a note was given to every parent asking for permission to allow their child to receive the medication; however, parents were not asked whether their child/children were at risk of suffering from any allergic reaction, nor were they notified of any possible side effects. The medication was reportedly given to students of both the primary school and secondary school in Independence. Police have affirmed that no injuries were observed on the child’s body, and no foul play is suspected. The body now lies at the Southern Regional Hospital’s Morgue awaiting a post-mortem, while a police investigation continues. Of note is that reports to us are that Sabrina’s file has disappeared from the records. We have not been able to verify this with officials from the Ministry. KREM News spoke to Dr. Michael Pitts, the Director of Health Services, and he told them that an investigation is ongoing and he will comment after the Ministry has received a report at the completion of a post-mortem. We understand that the family is trying to retain the services of attorney Audrey Matura-Shepherd to pursue the matter. Our attempts to get in contact with the child’s father, Gregory Almendarez, have been unsuccessful.